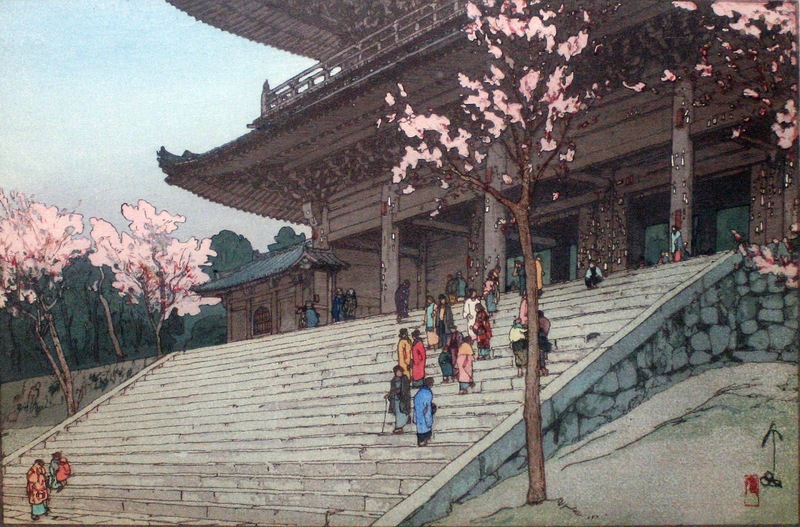 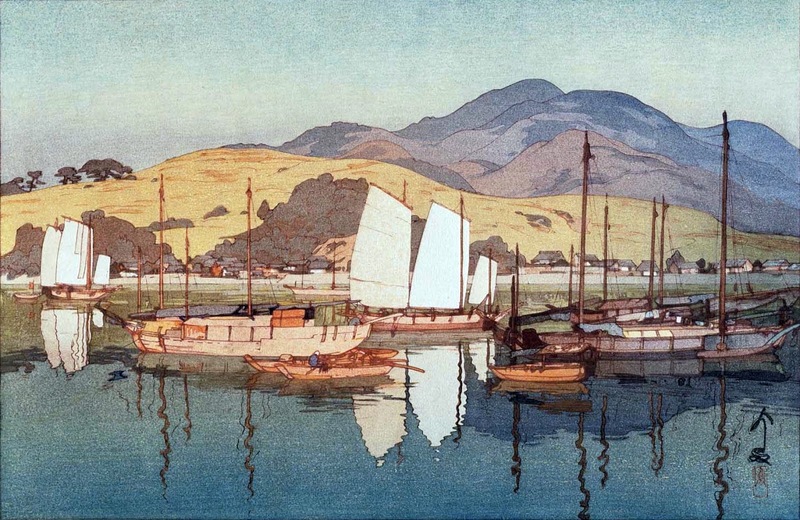 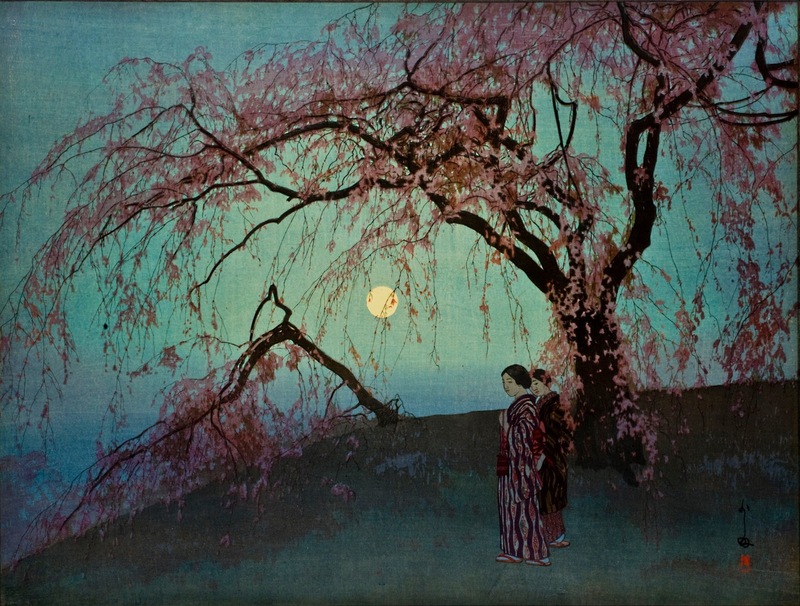 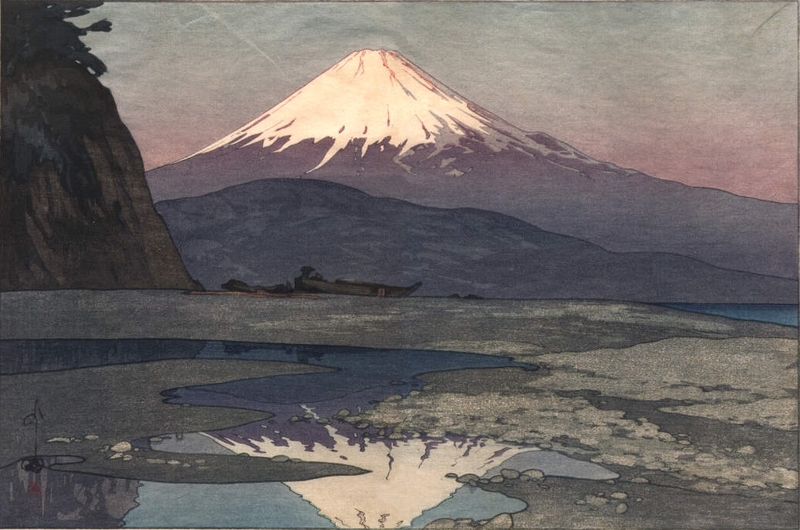 Hiroshi Yoshida / 吉田 博 (September 19, 1876 - April 5, 1950) was a 20th-century Japanese painter and woodblock printmaker. 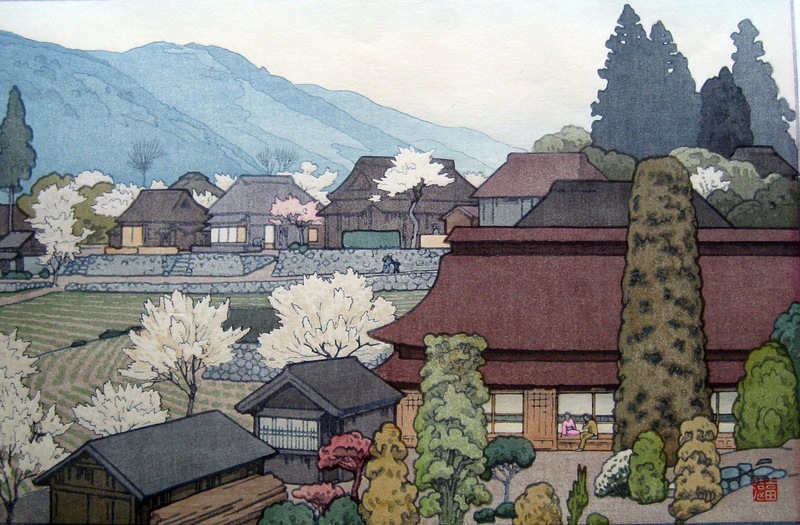 He is regarded as one of the greatest artists of the shin-hanga style, and is noted especially for his excellent landscape prints. 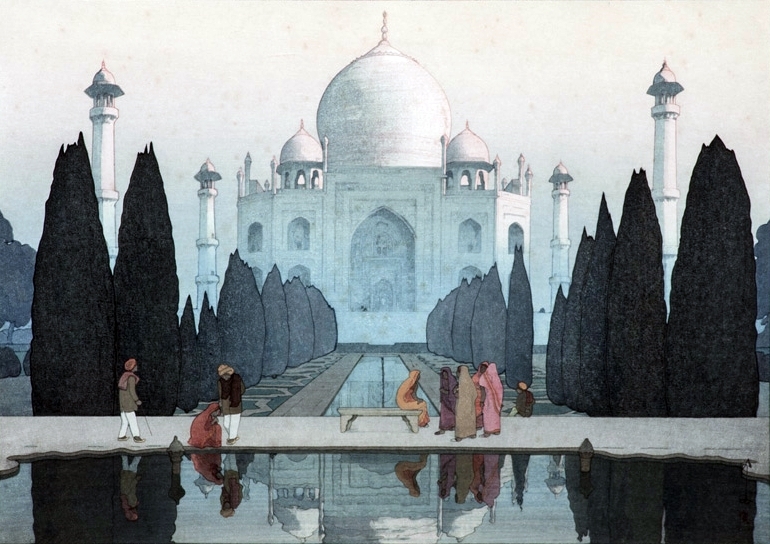 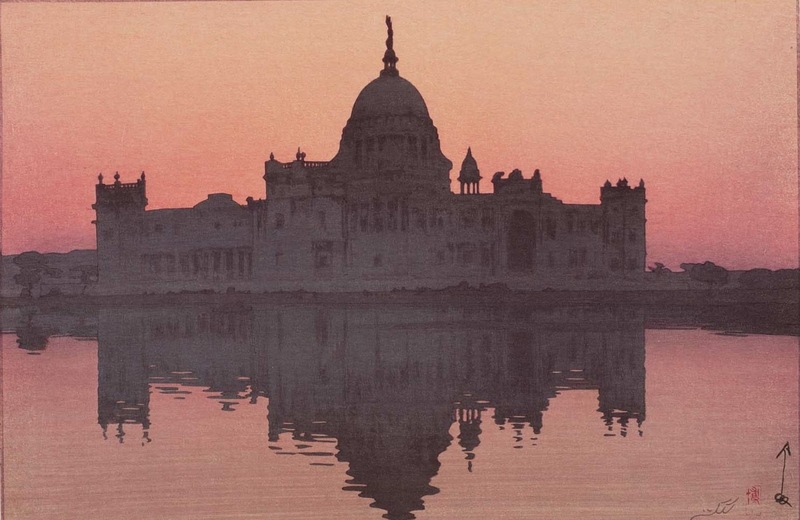 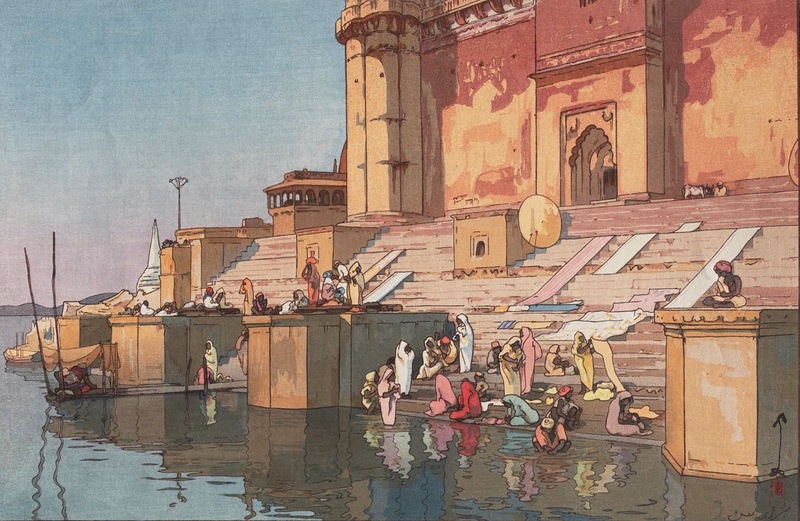 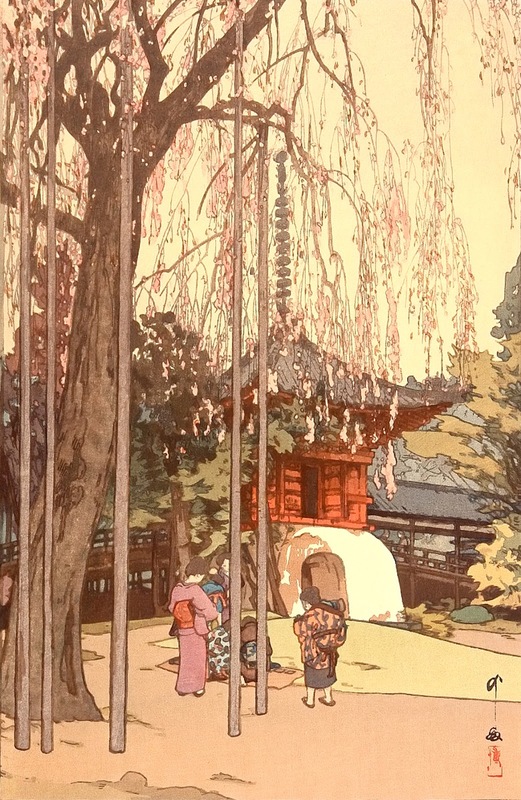 Yoshida travelled widely, and was particularly known for his images of non-Japanese subjects done in traditional Japanese woodblock style, including the Taj Mahal, the Swiss Alps, the Grand Canyon, and other National Parks in the United States. 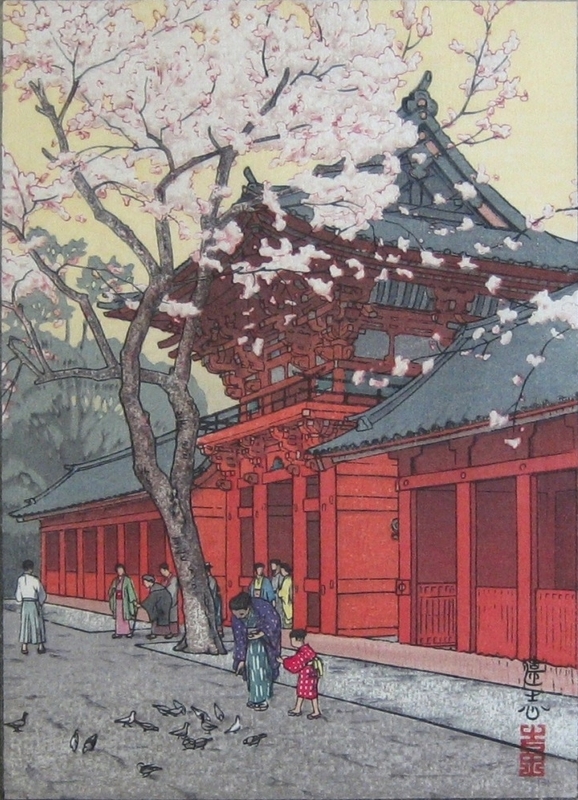 In 1899, Yoshida had his first American exhibition at Detroit Museum of Art (now Detroit Institute of Art). 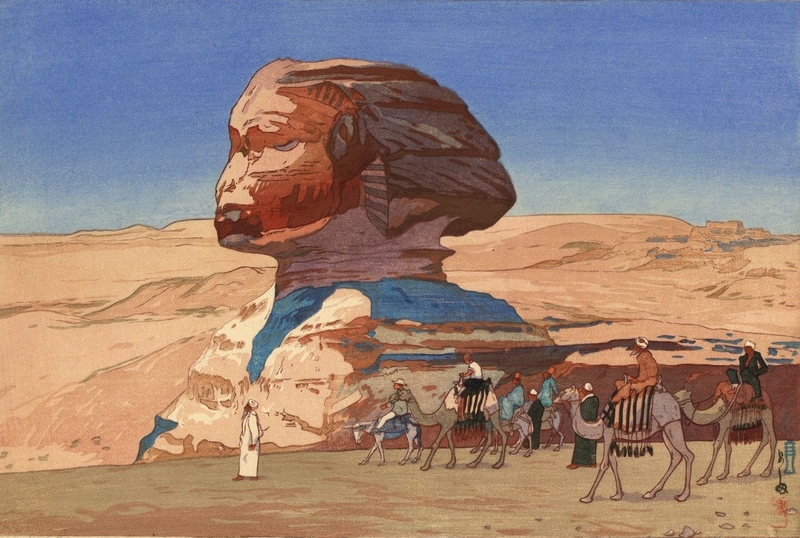 He then traveled to Boston, Washington, D.C., Providence and Europe. 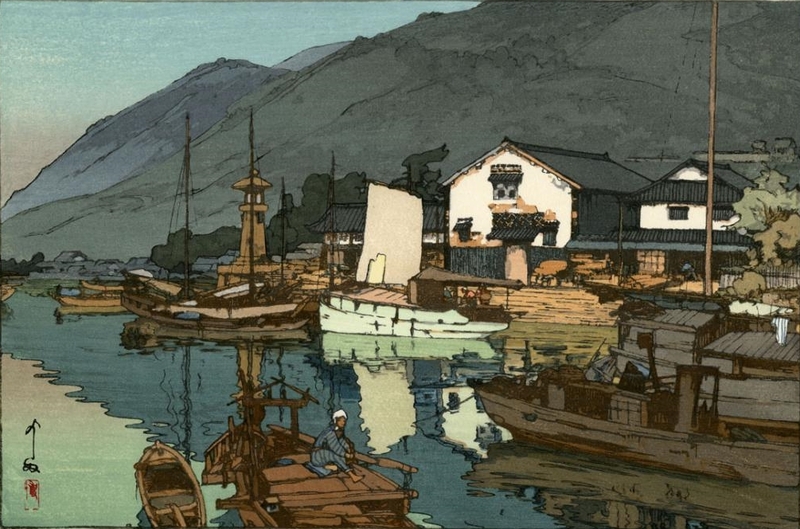 In 1920, Yoshida presented his first woodcut at the Watanabe Print Workshop, organized by Watanabe Shōzaburō (1885-1962), publisher and advocate of the shin-hanga movement. 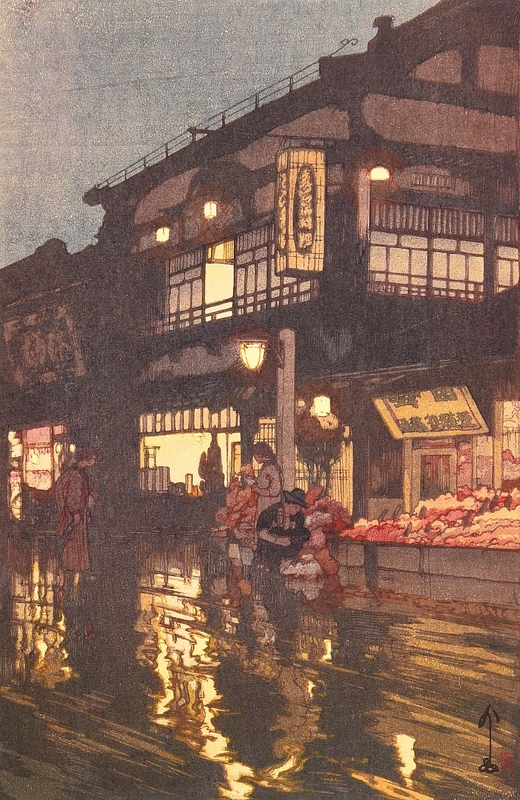 However, Yoshida's collaboration with Watanabe was short partly due to Watanabe's shop burning down because of the Great Kanto earthquake on September 1, 1923. 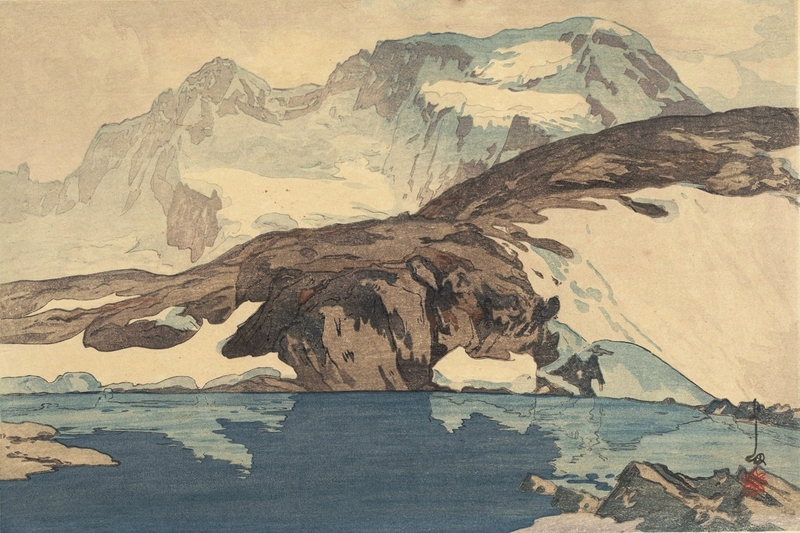 The artistic lineage of the Yoshida family of eight artists: Kasaburo Yoshida (1861-1894), whose wife Rui Yoshida was an artist; their daughter Fujio Yoshida (1887-1987); Hiroshi Yoshida (1876-1950), their adopted son, who married Fujio; Tōshi Yoshida (1911-1995), Hiroshi's son, whose wife Kiso Yoshida (1919-2005) was an artist; Hodaka Yoshida (1926-1995), another of Hiroshi's sons, whose wife Chizuko Yoshida (b. 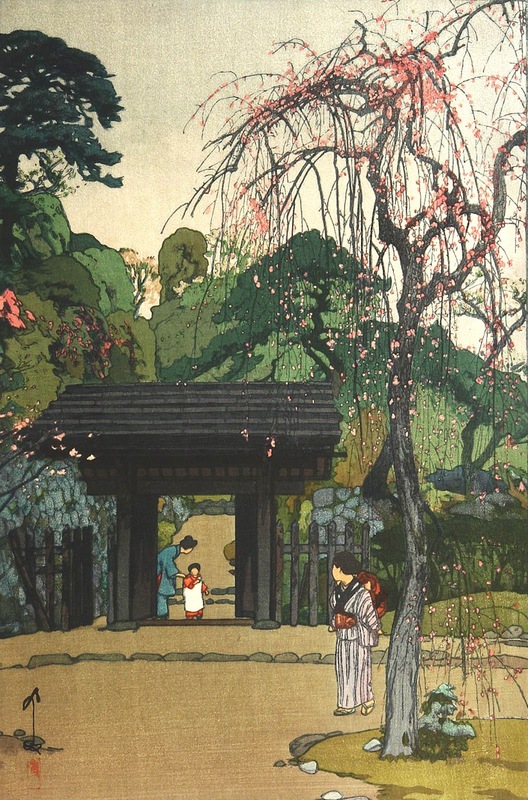 1924) and daughter Ayomi Yoshida (b. 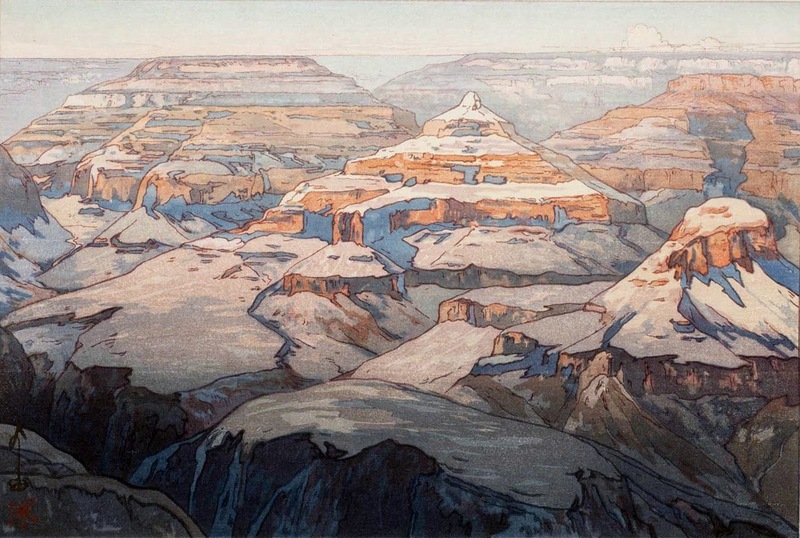 1958) are artists. 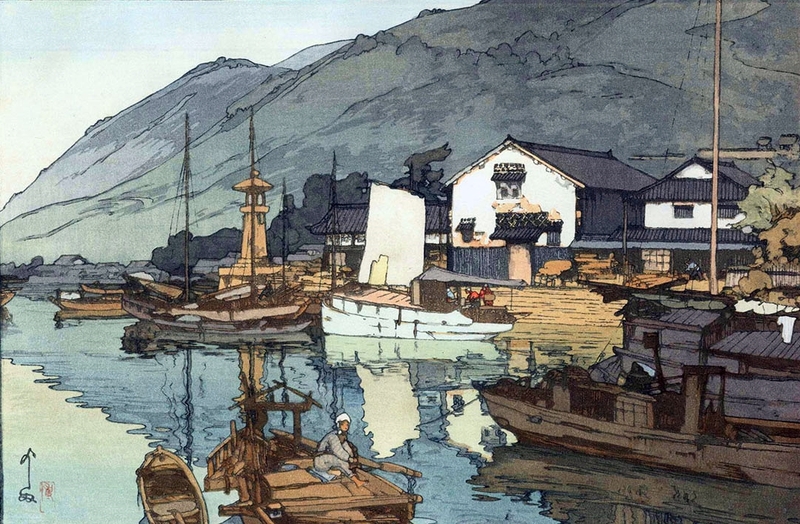 This group, four men and four women spanning four generations, provides an interesting perspective in looking at Japanese history and art development in the turbulent 20th Century. 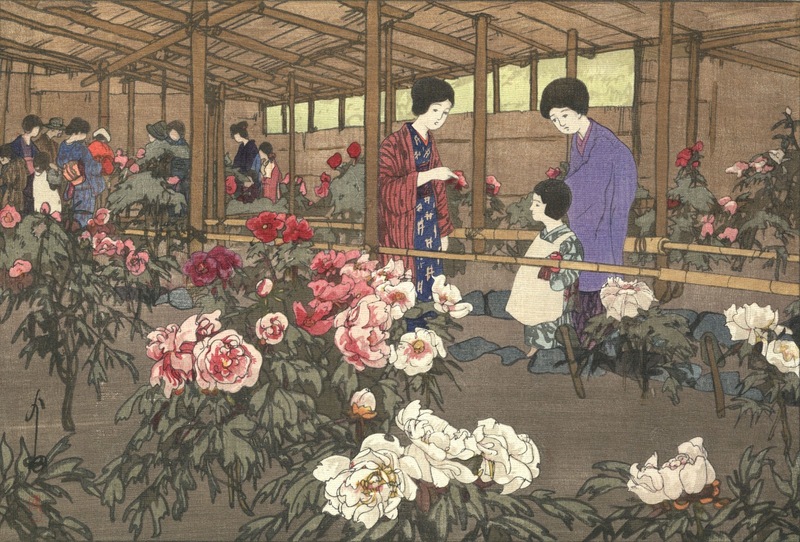 Although they inherit the same tradition, the Yoshida family artists work in different styles with different sensibilities. 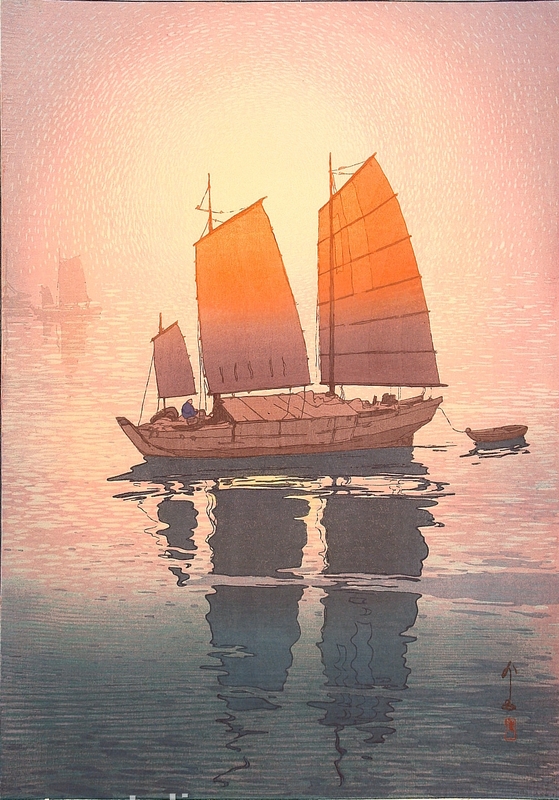 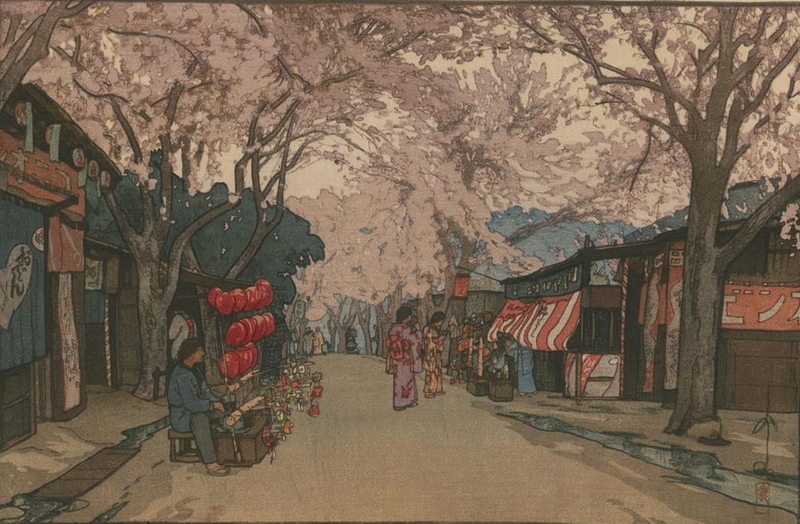 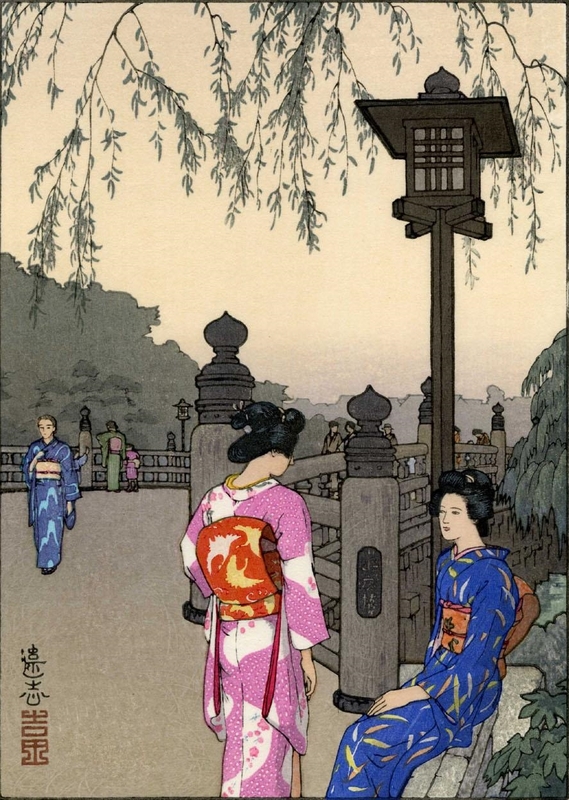 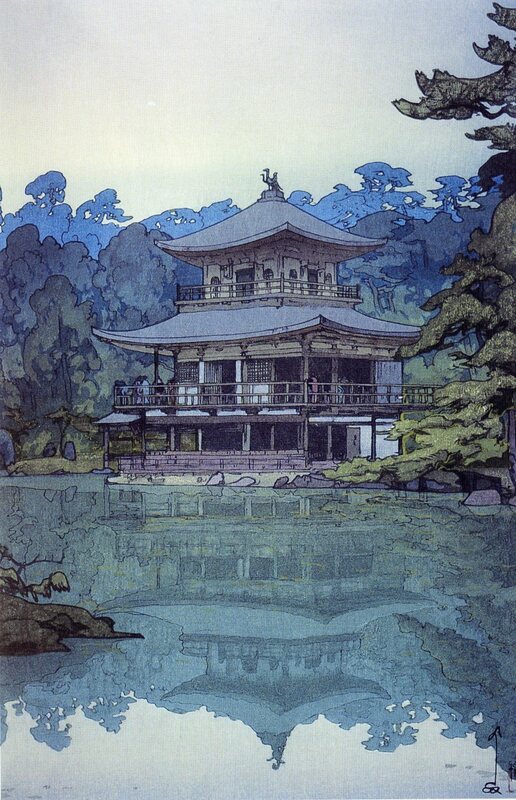 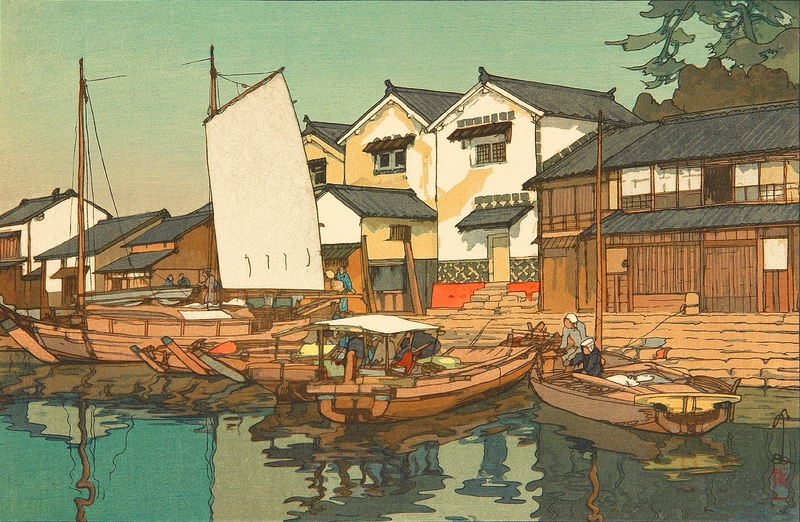 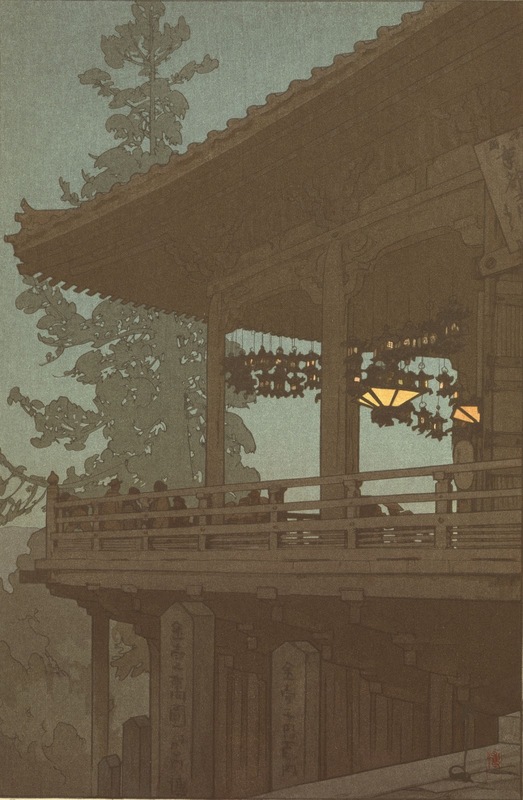 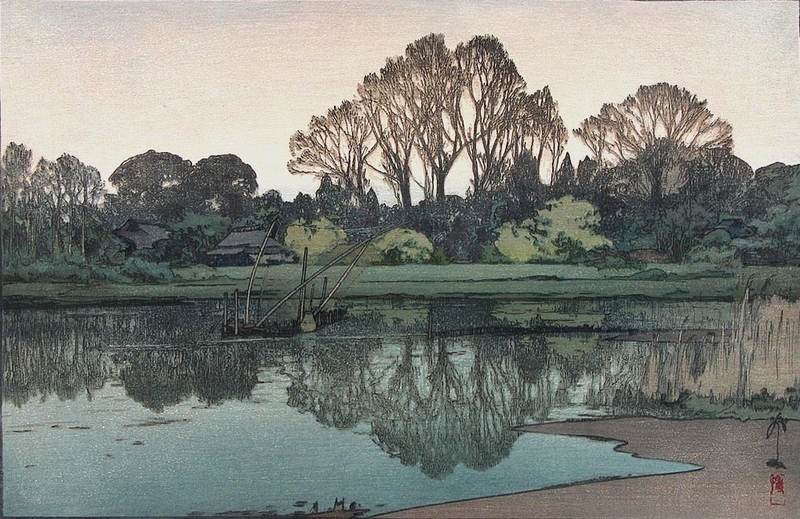 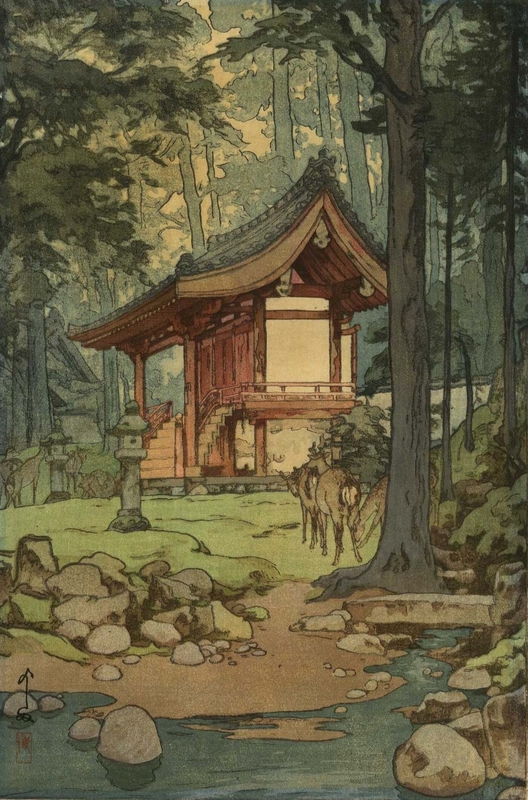 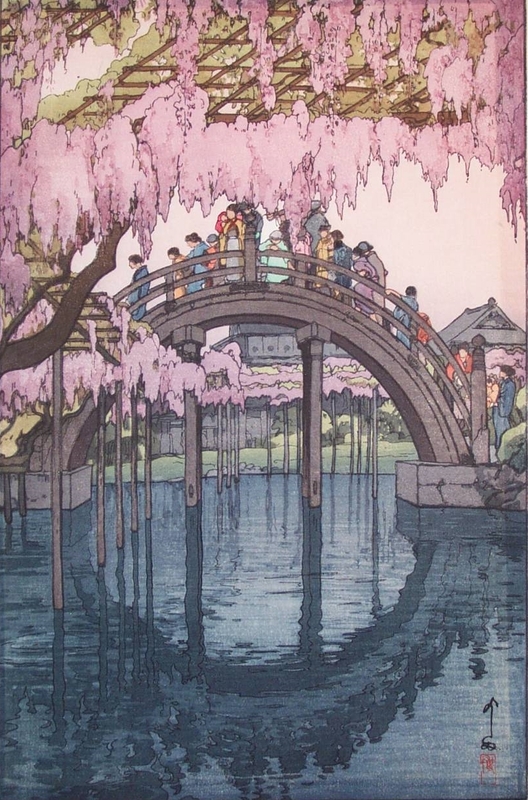 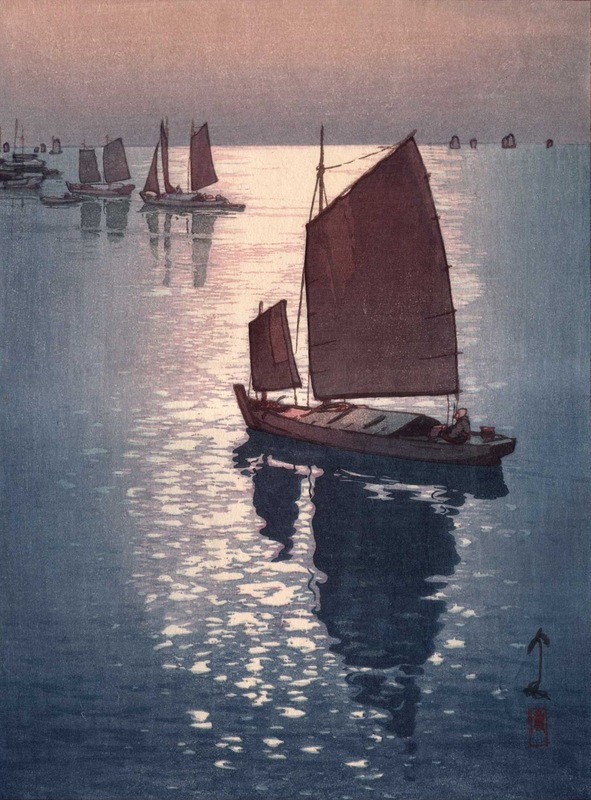 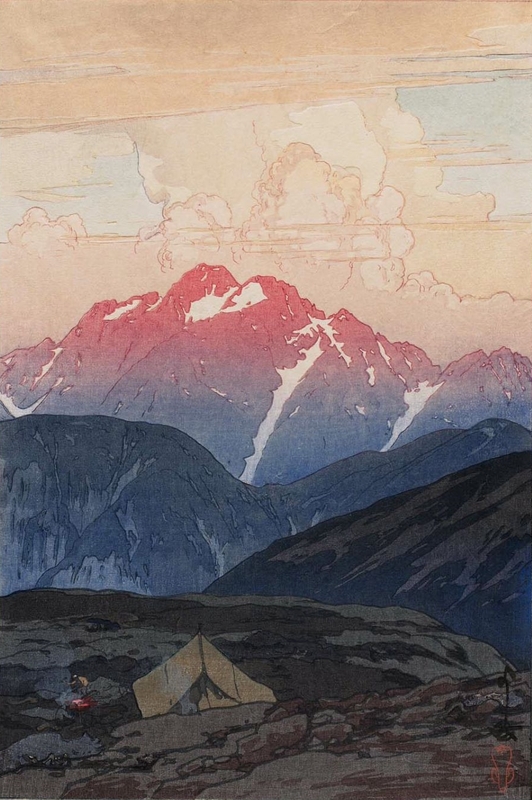 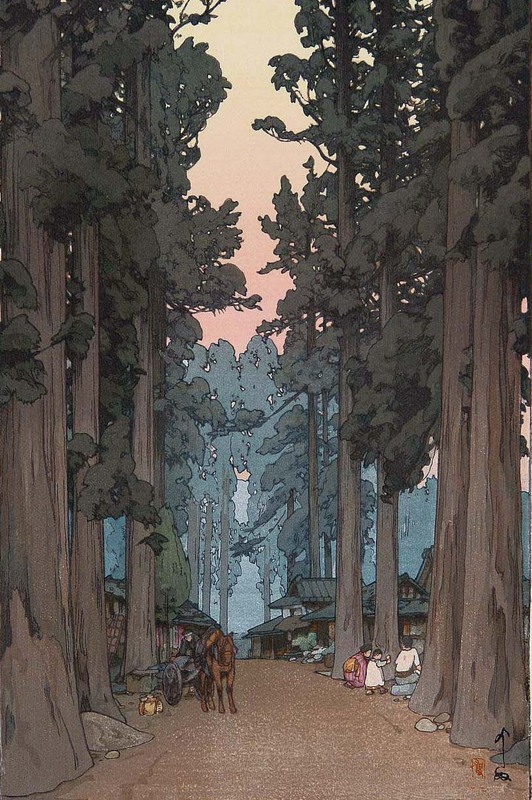 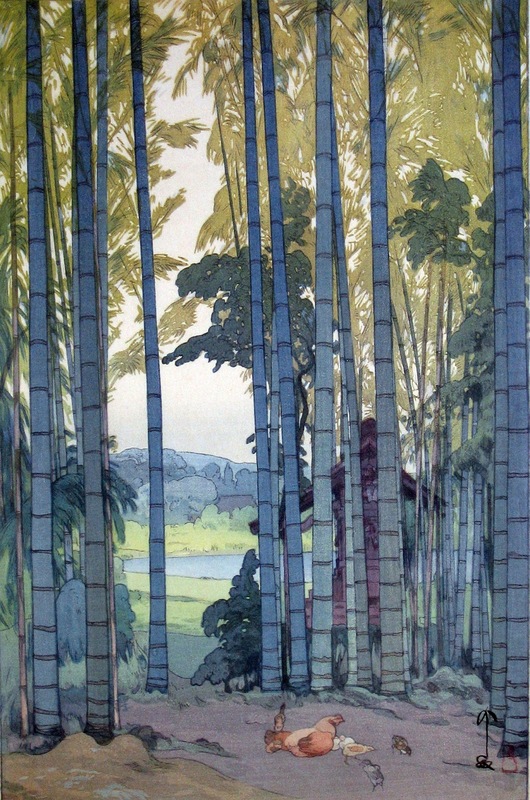 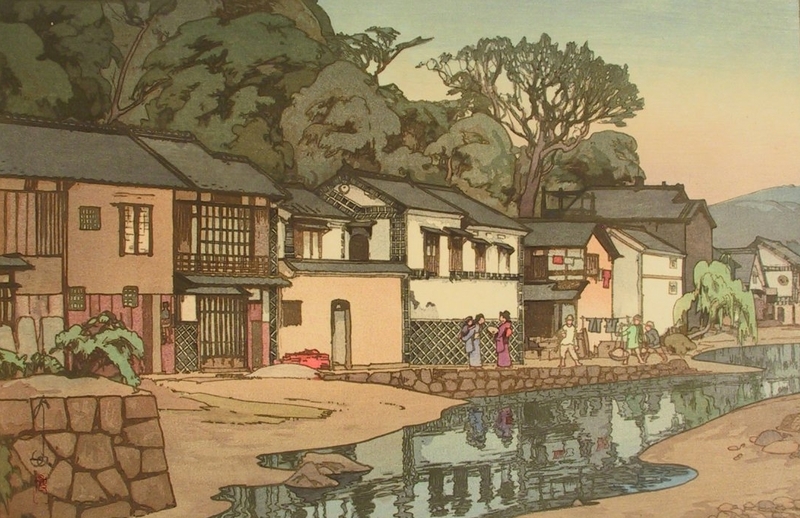 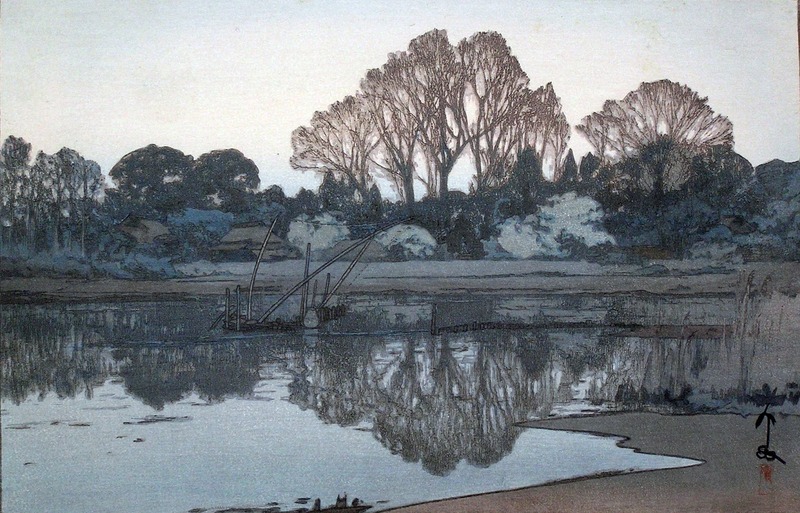 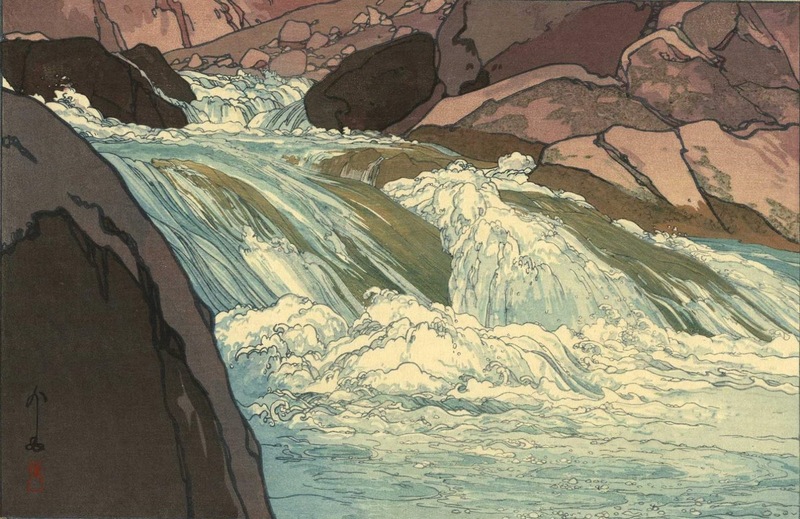 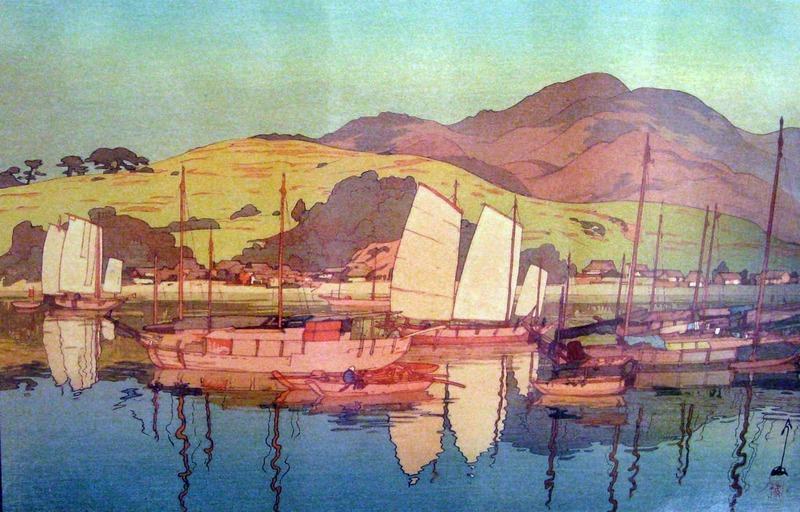 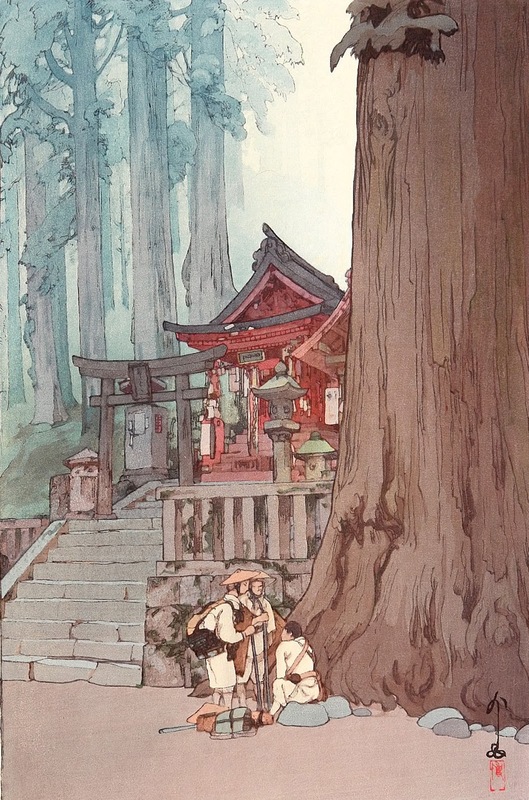 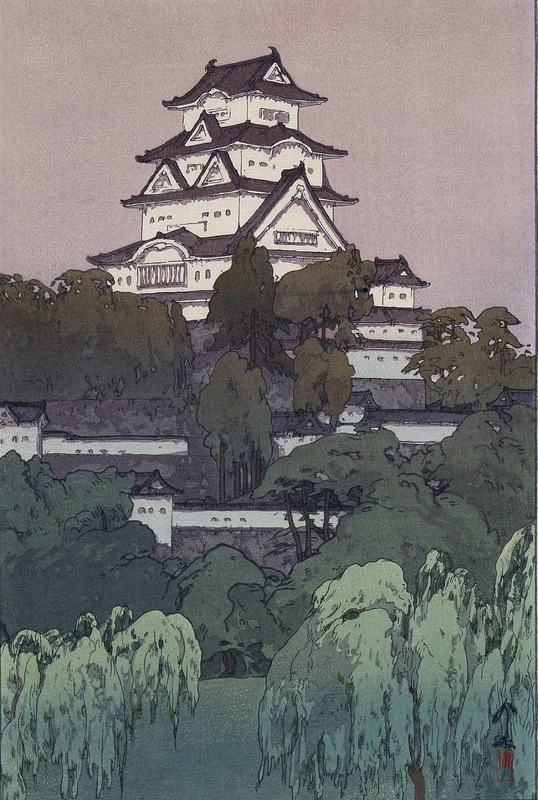 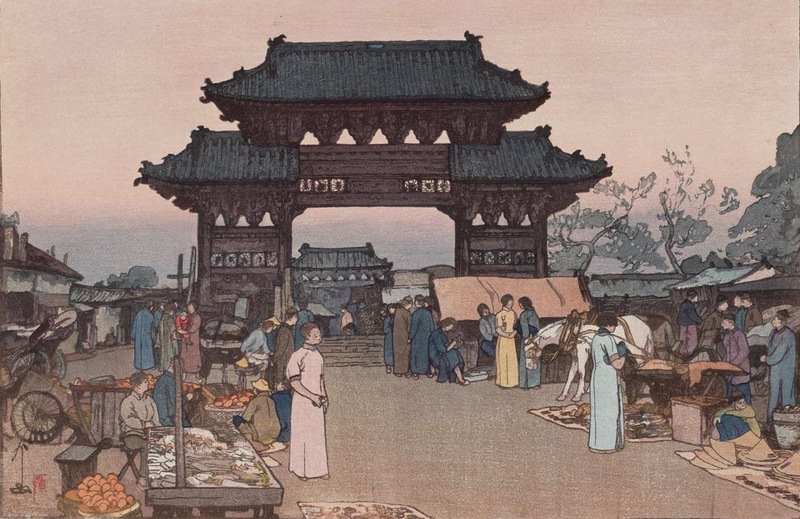 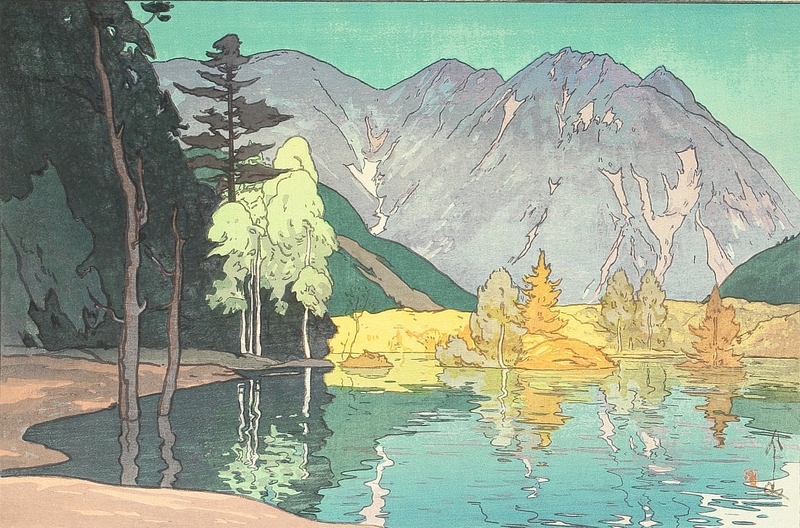 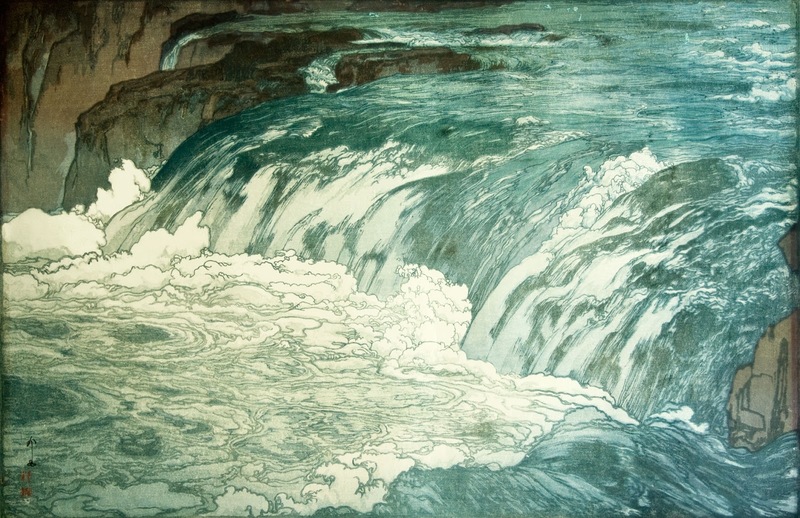 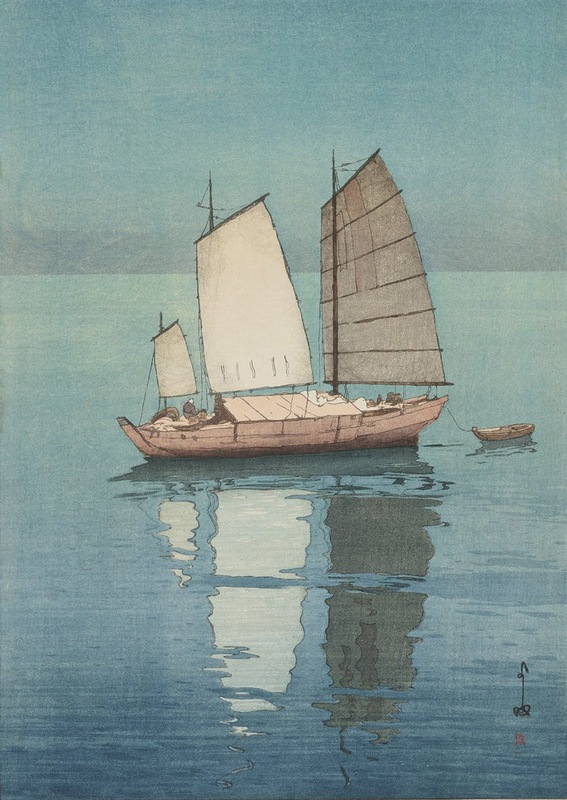 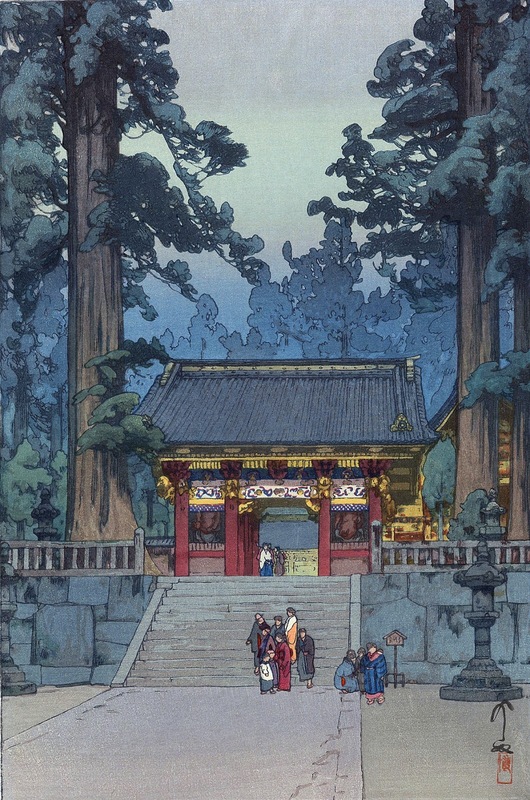 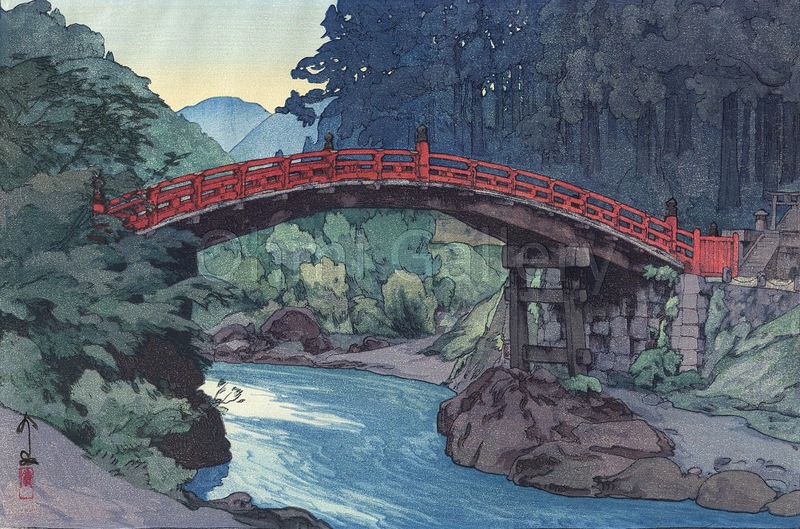 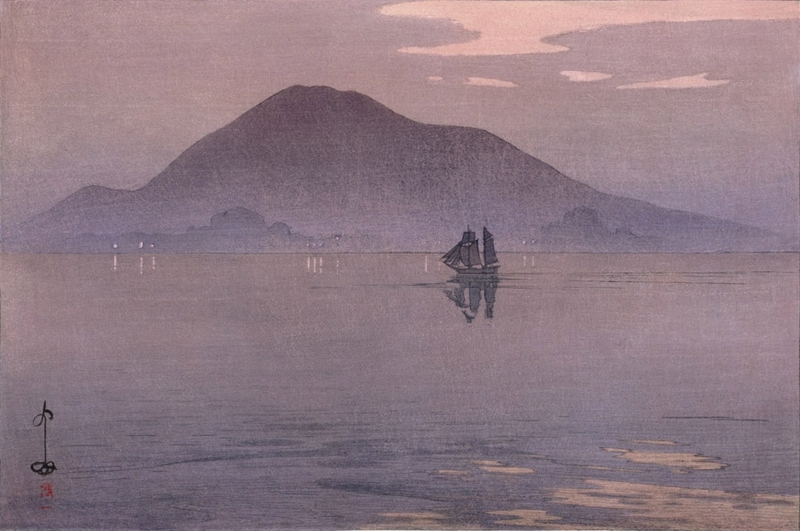 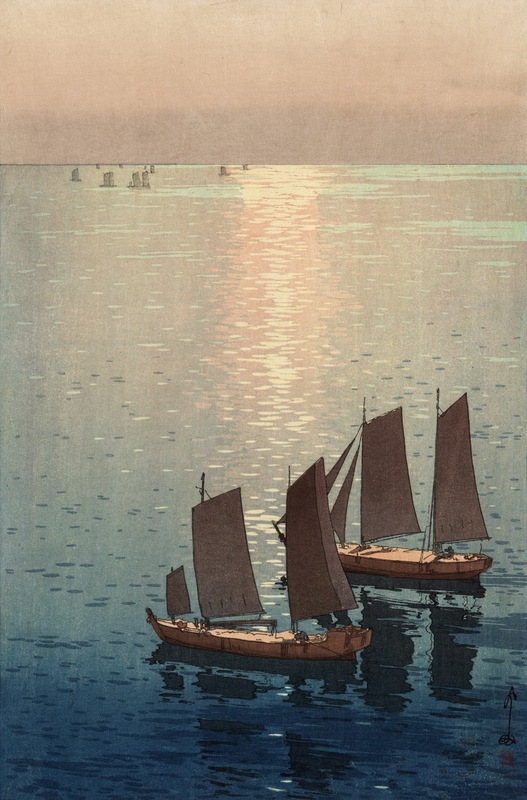 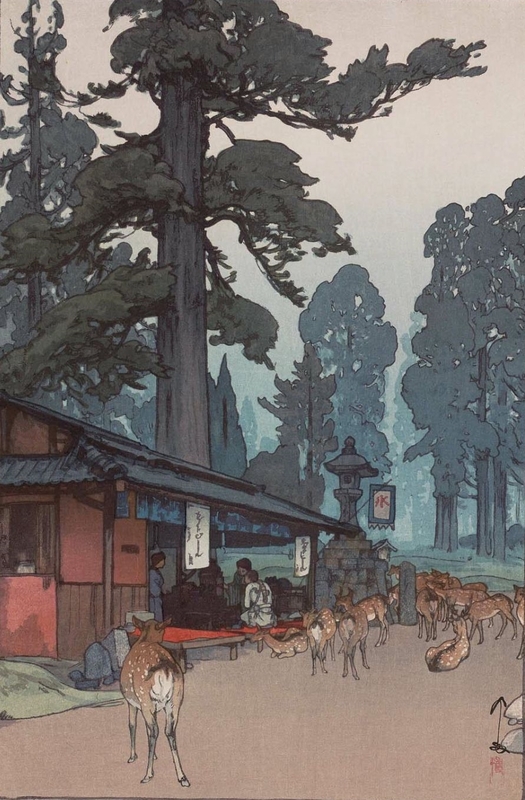 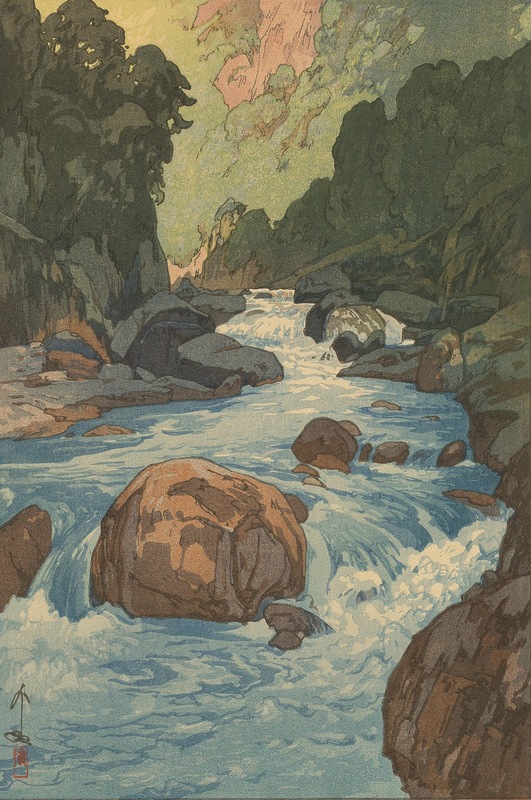 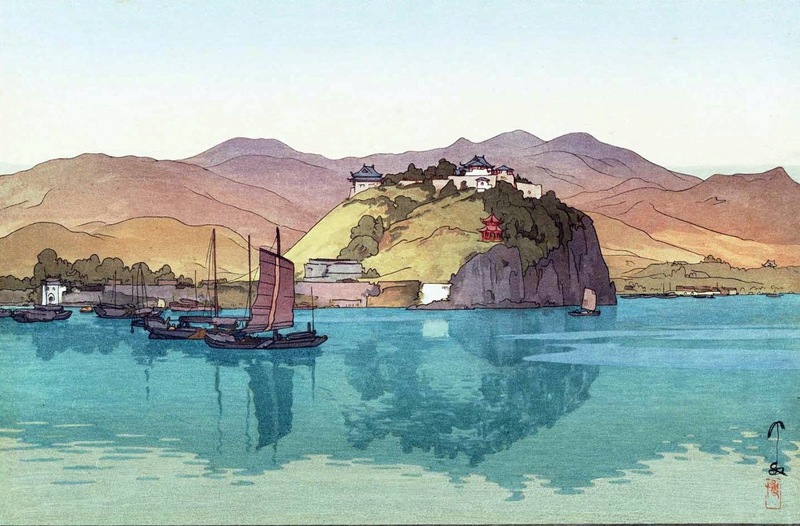 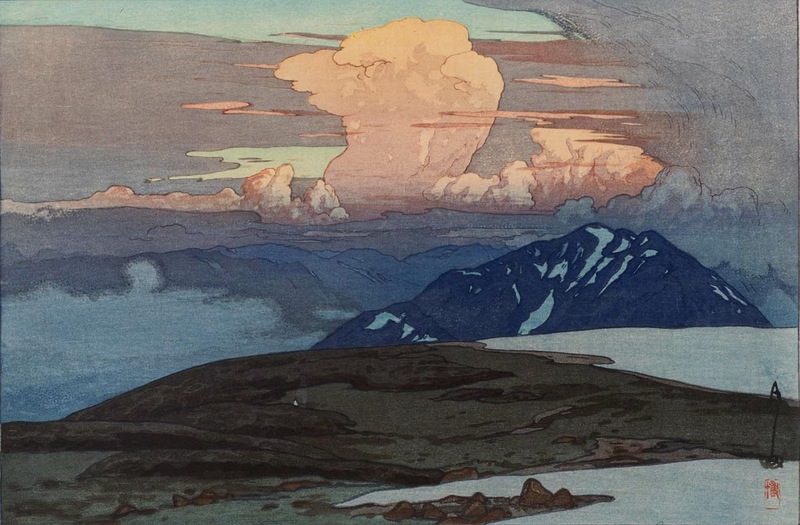 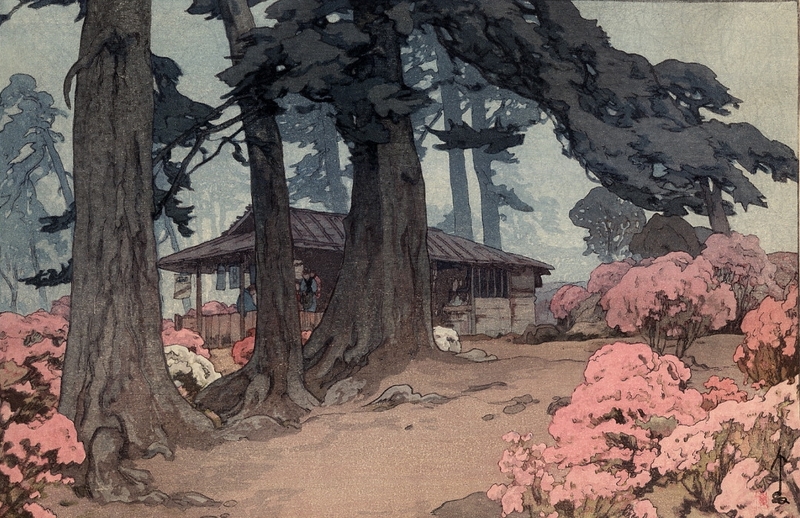 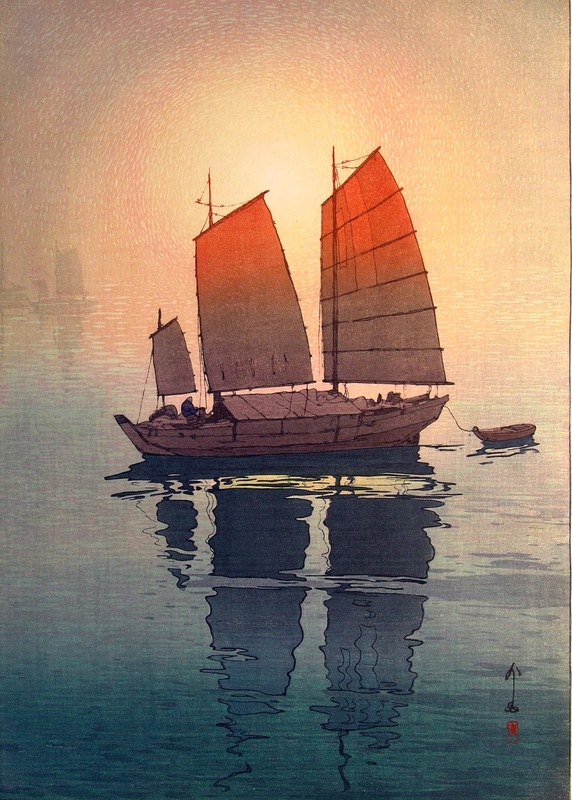 Toshi Yoshida and the Yoshida family have used the original Hiroshi Yoshida woodblocks to create later versions, including posthumous, of Hiroshi Yoshida prints. 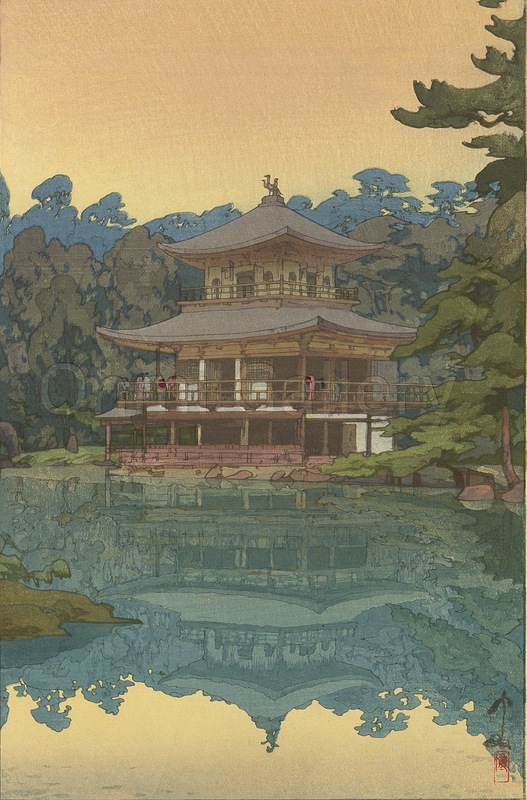 Prints created under Hiroshi Yoshida's management with special care have a jizuri seal kanji stamp. 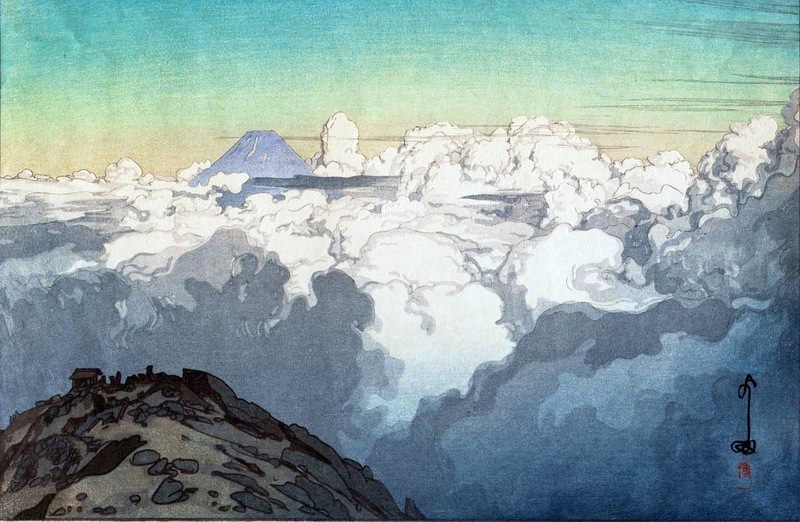 The Hiroshi Yoshida signatures vary depending on the agents and time of creation. 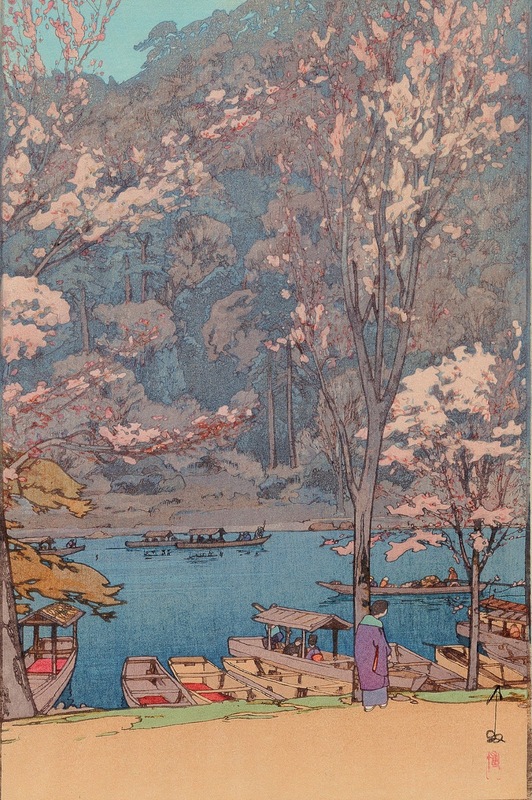 Hiroshi Yoshida / 吉田 博 (Kurume, 19 settembre 1876 - Tokyo, 5 aprile 1950) è stato un incisore e pittore Giapponese. 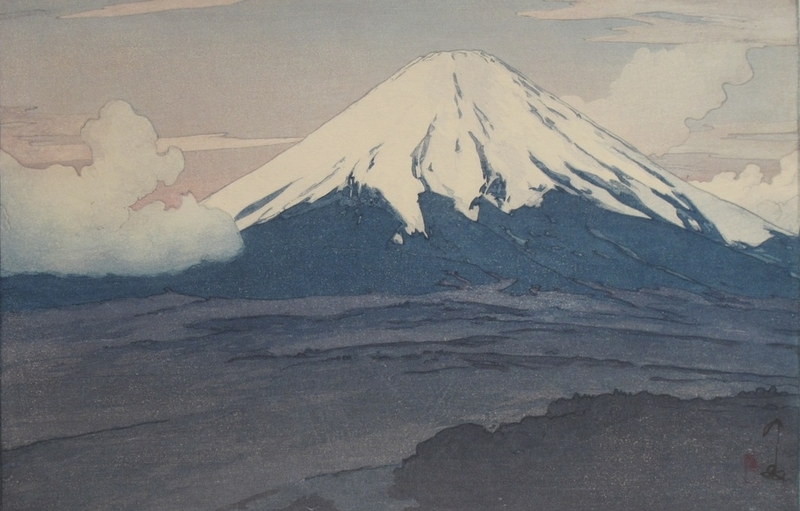 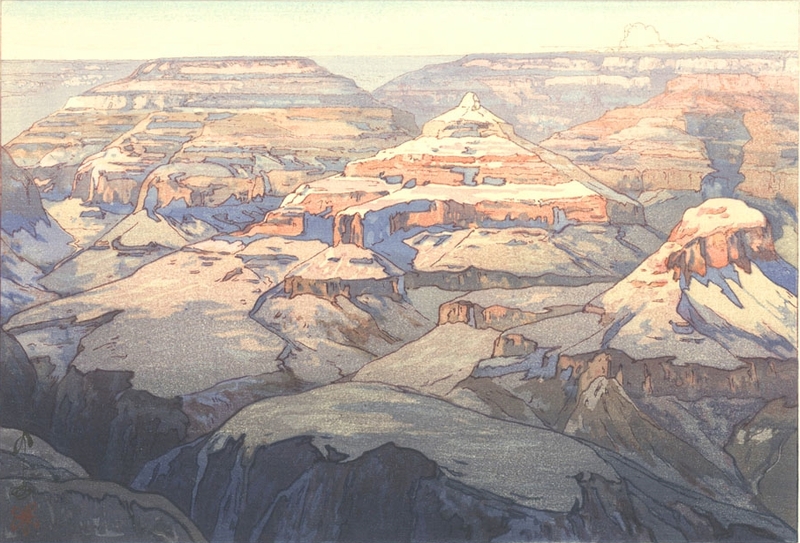 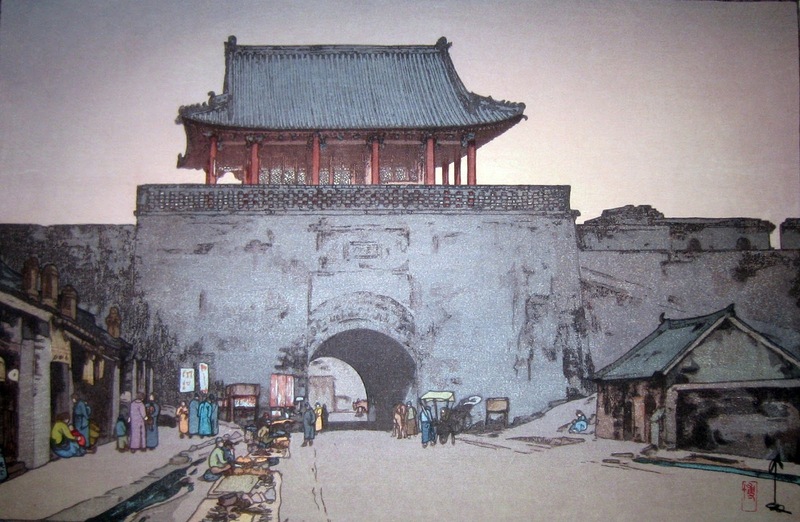 Noto per le stampe raffiguranti suggestivi panorami e soggetti non giapponesi, tra cui il Taj Mahal, le alpi svizzere e il Grand Canyon, è considerato tra i migliori rappresentanti del movimento Shin-hanga. 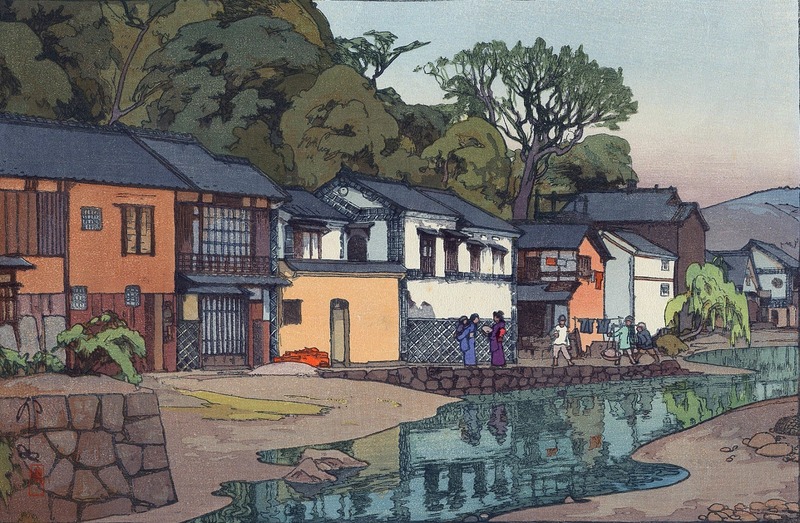 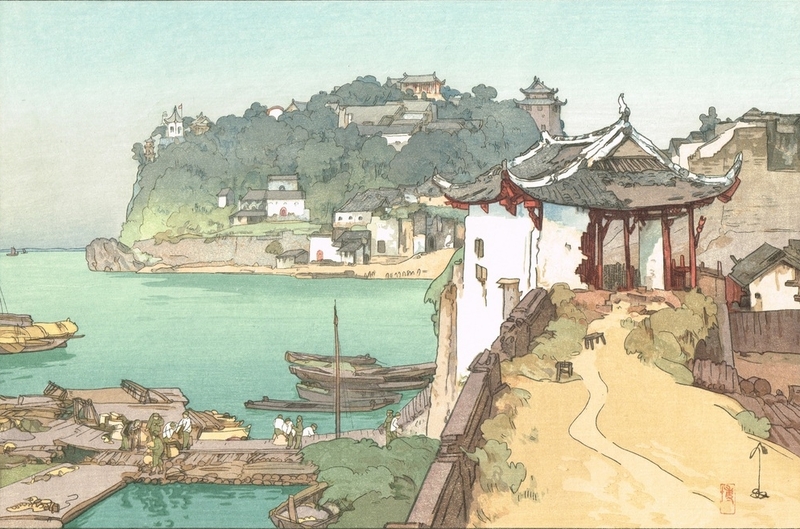 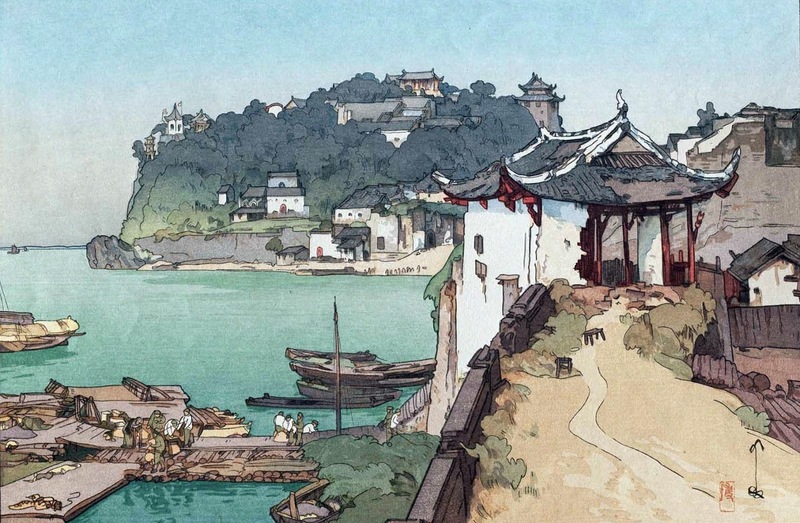 Hiroshi Yoshida, nato Hiroshi Ueda, nasce il 19 settembre 1876 nella città di Kurume, nella prefettura di Fukuoka dell'isola di Kyūshū. 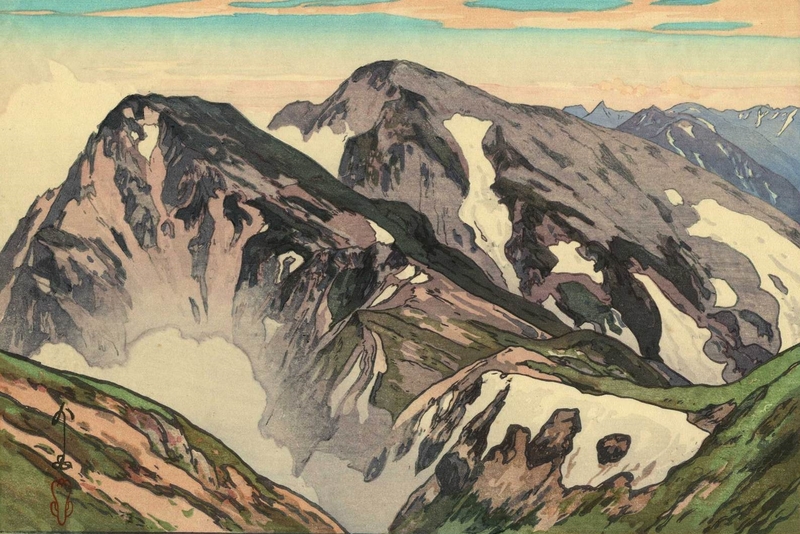 Mostra presto un'attitudine al disegno, stimolata dal suo padre adottivo, un insegnante di pittura alla scuola pubblica. 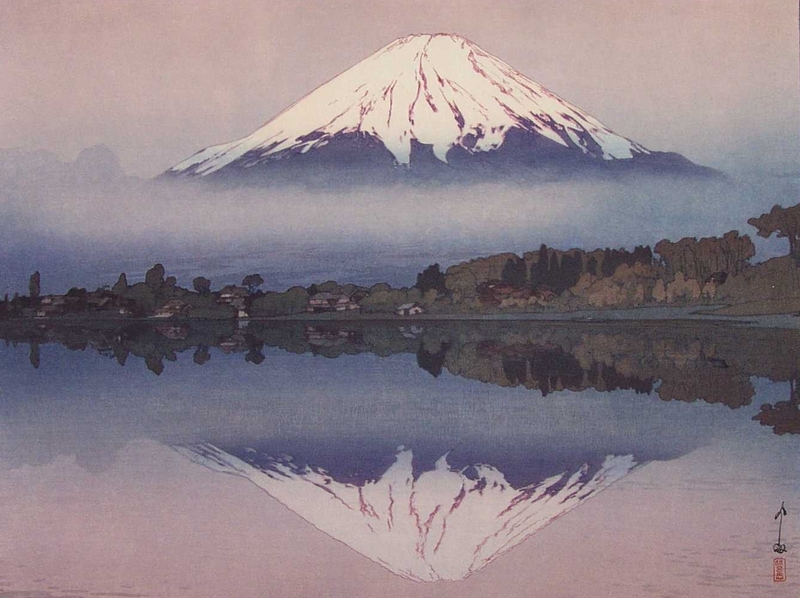 All'età di 19 anni viene inviato a Kyoto per studiare sotto la guida di Tamura Shoryu, un noto insegnante di pittura occidentale; successivamente trascorre altri tre anni a Tokyo sotto gli insegnamenti di Koyama Shotaro. 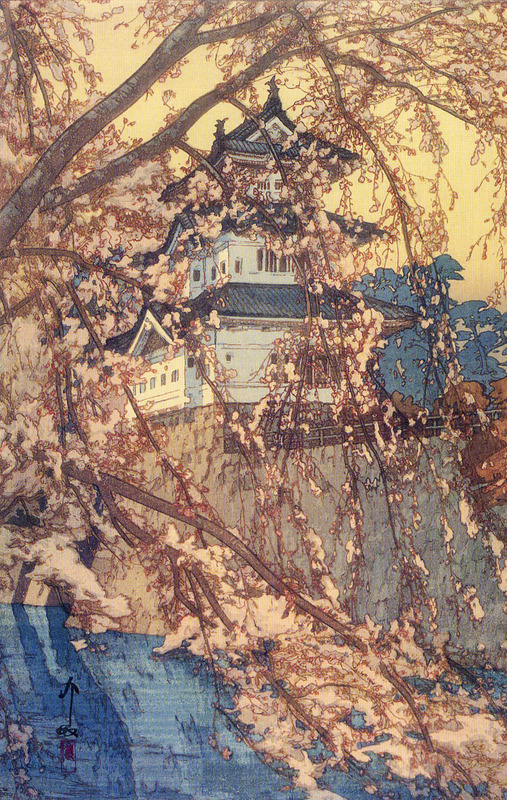 Yoshida organizzò la sua prima mostra al Detroit Museum of Art (ora Detroit Institute of Arts) nel 1899. 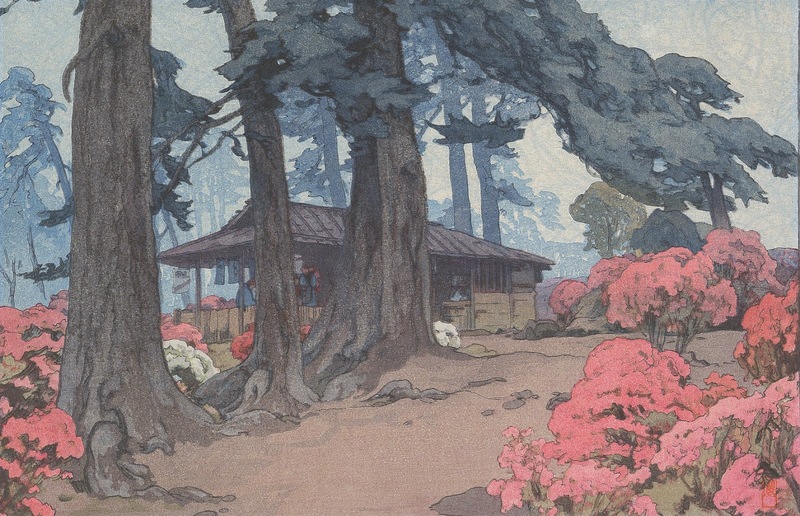 Hiroshi Yoshida praticò a lungo le tecniche della pittura ad olio, che venne introdotta in Giappone durante il periodo Meiji. 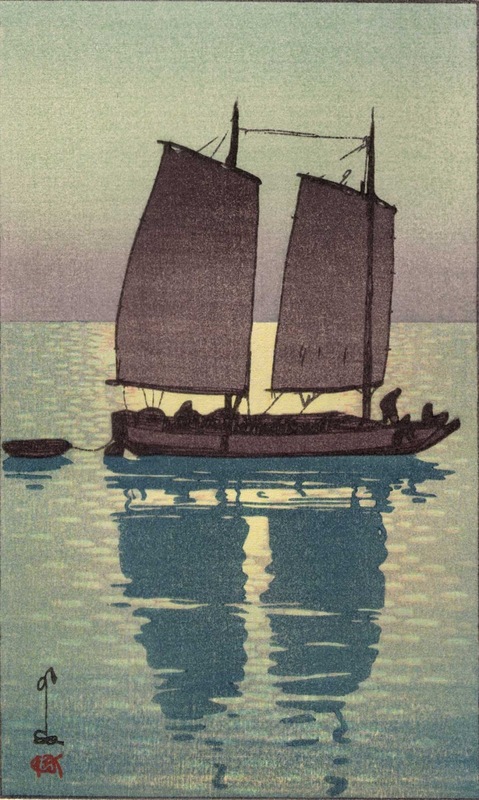 Tipico dello stile di Yoshida era riprodurre la stessa stampa con colori diversi per variarne l'atmosfera: esempi di ciò sono la serie Sailing Boats del 1921 e una serie di sei stampe raffiguranti il Taj Mahal.